I cherish these Kids In The Kitchen times. With three teenagers in the house (well, one is 12, but in some ways she’s going on 16 anyway, so I might as well include her in that “teenager” description), I realize that this special time we spend together learning to cook, experiencing food adventures, and generally having fun, isn’t going to last forever. Eventually, one by one, their focus will shift, priorities will change, and they’ll have grown up and won’t be cooking every other weekend in the kitchen with me anymore. This makes this time we have that much more precious. So much more happens than just a kid, a recipe, some food, and a resulting blog post. We get opportunities to learn together, to be silly together, to bond together, one on one. I wouldn’t trade these experiences for the world. Matt is the oldest (he’ll be 16 next week!). I suppose that means he’s not a little boy anymore. He’s learning to really voice his opinions and trying to understand and feel his way around where he stands on important worldly beliefs and issues (ranging from what genre of music is best to religion), but at the same time, he continually tries to make us laugh with a quick joke. He takes after his Dad that way – the jokes aren’t always funny, but the sense of humor behind their delivery will guarantee a chuckle and a smile, and many times can disarm me, even in stern moments. In my opinion, a good sense of humor is definitely an asset. But in spite of his ever-more-grown-up ways, he is still in some ways a boy. Take his suggestion for what we would make for Kids In The Kitchen – peanut butter cookies. That’s a childhood favorite I think he and I share (and a lot of others). Some things you just never outgrow. These peanut butter cookies are a breeze to make. In fact, I’ve made an almond butter version before following the same recipe. It’s Shirley’s recipe from Gluten-Free Easily, and it’s by far one of the easiest cookie recipes out there. 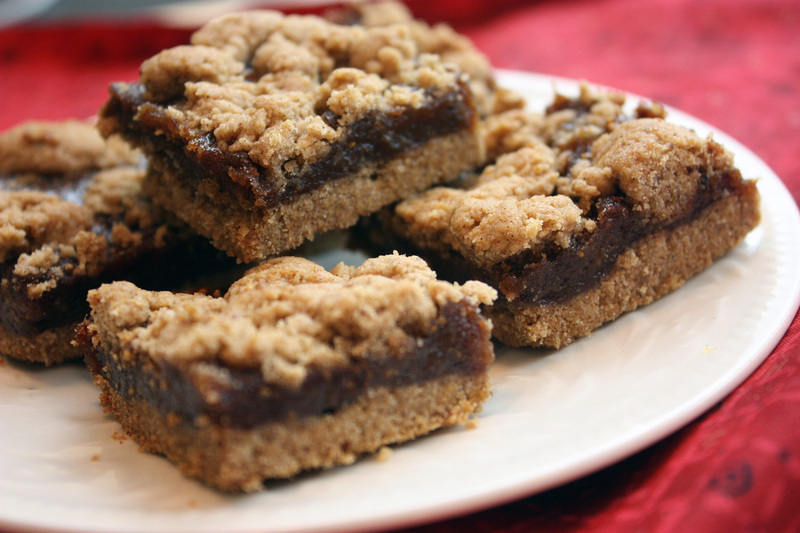 We made these as written – complete with chocolate chips. I only had a taste, but the kids definitely took care of the rest for me – they enjoyed two a piece when they were made, and gladly took the rest home to enjoy at the end of the weekend. They were indeed a hit. 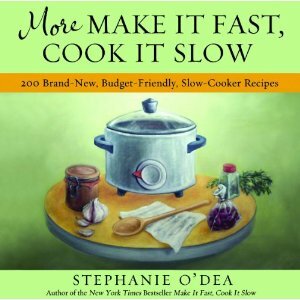 Of course, this won’t be the last time this recipe (or a version of it) will be gracing our kitchen. It’s an easy, go-to recipe for cookies that can please a crowd (and some hungry teenagers). 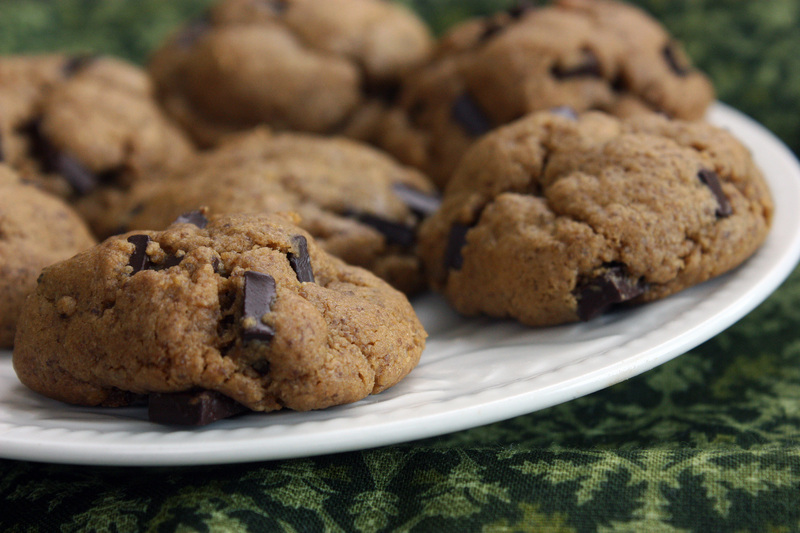 Check out the recipe for Flourless Peanut Butter Chocolate Chip Cookies here. 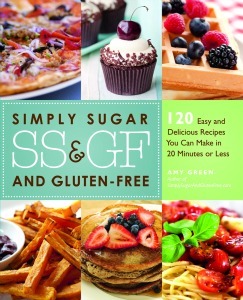 Have you entered into the giveaway for a copy of Simply Sugar and Gluten-Free: 120 Easy and Delicious Recipes You Can Make in 20 Minutes or Less by Amy Green? If not, there’s still time! Check out the giveaway details here. Hurry, because the giveaway ends April 23! It’s officially the holiday season, and I’m starting to prepare the holiday sweets – cookies, candies, and fudge (yes, dairy-free fudge! Coming soon!). The other day I shared one of my new favorite treats, and here’s another. These cookies were more of an experiment, resulting from some cranberries that I bought and for whatever reason, didn’t use. I opted to make a fresh cranberry cookie. 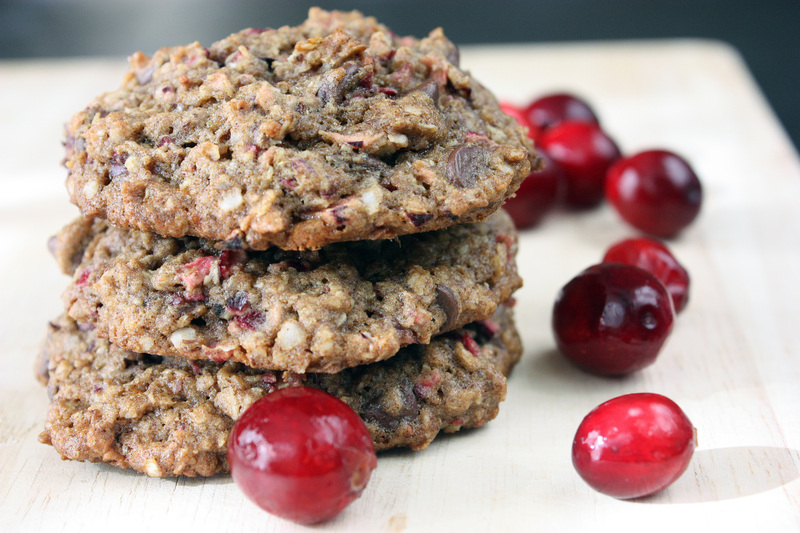 These were delightful – the whole grains remind me of oatmeal cookies, but the combination of cranberry and chocolate definitely makes them something special. 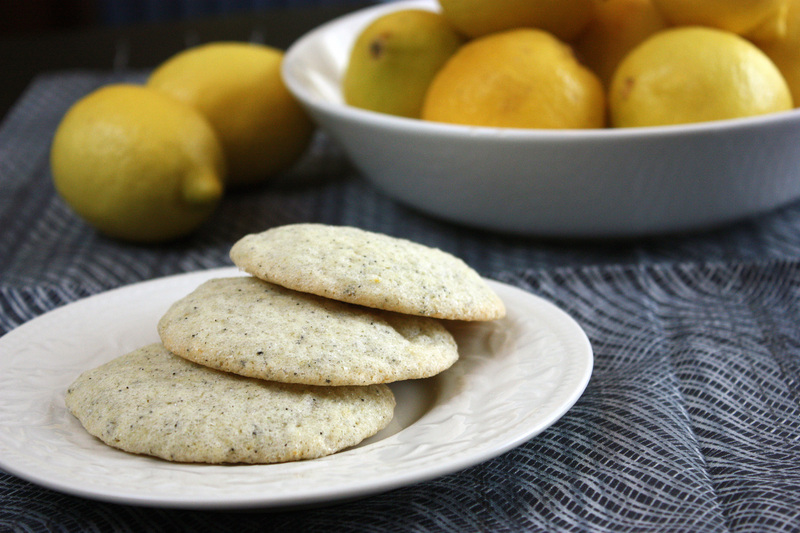 When I baked these cookies, I could hardly wait until they were cool enough to eat. And then, I had to will myself to stop at 2. They definitely were tasty, to say the least. Maybe not the flashiest cookie on the holiday table, but sometimes, those “ugly ducklings” are the true gems! So if you’re looking for another treat to round out your holiday cookie platter, these might be a great gluten-free, dairy-free option! Preheat oven to 350 degrees and line 2 baking sheets. In a medium bowl, combine tapioca starch, teff flour, buckwheat flour, salt, xanthan gum, baking soda, cinnamon, allspice, and flaxseed meal and whisk. Set aside. In the mixing bowl of a stand mixer fitted with the paddle attachment, cream shortening, coconut oil, sucanat, sugar and honey together. Add egg and beat in until combined. Add vanilla extract and beat in. Turn speed to low and slowly add flour mixture. Once combined, add quinoa flakes. Stir in chocolate chips and cranberries. Scoop onto prepared baking sheets into balls about 2 inches in diameter, spaced about 2 inches apart. Bake for 15-18 minutes or just until the edges are browned. Remove and allow to cool on cookie sheet for 3 minutes or until set enough to transfer to a rack. Allow cookies to cool completely on rack. 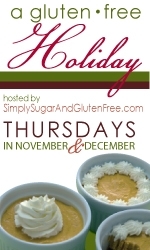 This is the final week of Gluten-Free Holiday, and we’re ending it as we should end any holiday event – with dessert! Special holiday treats are often the highlight this time of year – many people love to make holiday goodies, cakes, cookies, pies, and candies. 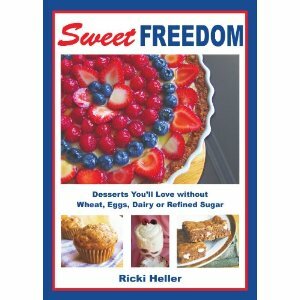 This gives those of us on a special diet some wonderful dessert ideas that meet our needs, or the needs of our loved ones. It’s always wonderful to make a special treat that a loved one that usually goes without can eat! 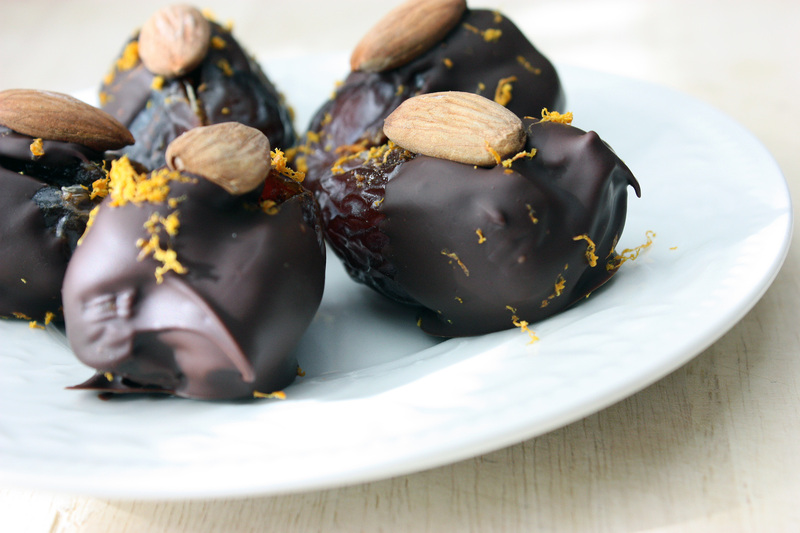 But before I get to my recipe for chocolate-dipped dates with spiced nuts (which you should TOTALLY check out! ), let me share with you the fun giveaways for this week! 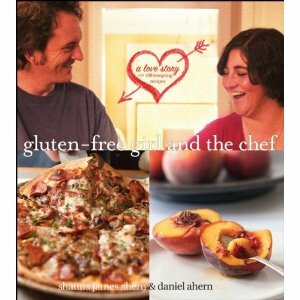 Amy over at Simply Sugar and Gluten-Free is hosting this week, and has some wonderful giveaways – two books that you could win before anyone else gets them! Definitely head on over to Simply Sugar and Gluten-Free and share your favorite gluten-free dessert and check out these giveaways! Also check out her cranberry swirl cheesecake – it looks sinful! Now, to my gluten-free holiday dessert. This is a little treat that is easy to make beforehand and set out at any holiday party or dinner as part of a dessert tray, or even all by itself! I found the recipe in Bon Appetit’s magazine and modified it just barely. 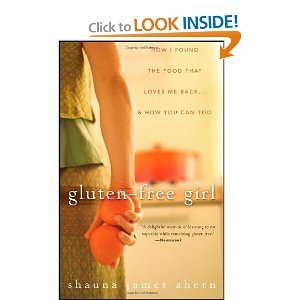 The recipe was naturally gluten-free already (a plus!). 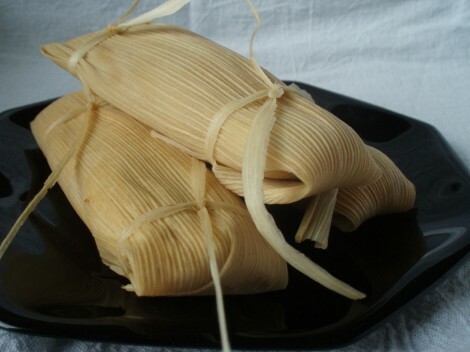 When you bite into these, they taste so rich and complex – their flavor far exceeds the effort, and compared to a lot of desserts, they’re really not all that unhealthy. Definitely traits I look for when choosing what treats to make! Toss 36 almonds, half of the orange peel, honey, cinnamon, and allspice in a small bowl. Cut a slit down each of the dates and stuff with 2 spice-coated almonds. Close the date as much as possible. Line a small baking sheet with foil. Heat a small saucepan with about 2 inches of water to a simmer and place a stainless steel bowl over the water (make sure your bowl is large enough to sit on top of the saucepan, or else use a double boiler). Place the chocolate chips in the bowl and stir occasionally until melted through. Grasp one end of each date, dip into chocolate, shaking off excess, and place on the foil. Repeat with each date. Then with the remaining almonds, press one on top of each of the chocolate-covered dates. Sprinkle with remaining orange peel and place in refrigerator for 30 minutes or until set.